Are you going to be on the move this summer? You certainly won’t be alone. Summer is the most popular time to move into a new space. It’s not just college kids going into dorms but folks buying new houses and moving into apartments. Whether this is your first or 10th move, you’ll benefit from these awesome moving tips. 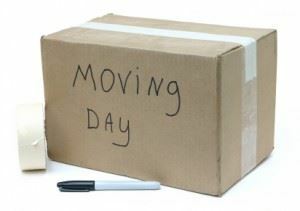 The general rule of thumb for packing is that heavy items should be in small boxes and lighter items in bigger boxes. You may feel the need to cram everything into a box just to save having to buy a new box. However, that could prove to be a mistake if that heavy stuff falls out. The best test is whether or not that box is easy for you to lift. Plates should be packed vertically in a box as opposed to stacked on each other. Think of them as record albums. You should also unscrew any light bulbs from lamps that are being moved. Most of your breakable items can also be wrapped up in your towels, sweaters or other clothing items. It’s all going to the same place! If there are some items that you considered to be irreplaceable, then those are the things you should probably carry with you in your own car. You can wrap framed photos or art in bed sheets and blankets for extra protection. Fill all of your suitcases with as much clothing from your dresser and closets as possible. A suitcase with wheels is a good container for books. Don’t waste an empty space. You might think that packing up the kitchen should be the last room to tackle. That might be true but just don’t get caught packing up your kitchen on the day of the move. This is especially true with clearing out the refrigerator. You want to empty out that fridge the night before and unplug it so that it has a chance to cool down. The worst thing you could do moving into a new space is bring all your old junk with you. You’ll discover plenty of things you could get rid of as you pack up the stuff you want to keep. This is where Junk King Indianapolis can be a big help. These are the professional junk haulers who will provide you with another moving crew and truck. The difference is your junk will be making a one-way trip to a recycling center or charity with a little help from Junk King. One hauling session with Junk King Indianapolis will make sure you’re not bringing any rubbish with you on your next move. This entry was posted in Indianapolis Junk Removal and tagged hauling, junk King Indianapolis, junk removal, next move on June 27, 2017 by Junk King. Last updated June 27, 2017 .